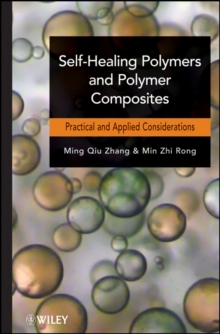 This book covers the fundamentals, theory, design, fabrication, characterization, and application of self-healing polymers and polymer composites. Innovative routes that correlate materials chemistry to the self-healing functionality are summarized for future industrial use. Throughout the book, the authors emphasize integration of existing techniques and / or novel synthetic approaches for target-oriented materials design and fabrication. With this book, experienced readers will gain a comprehensive view of the emerging field, while new researchers will understand the framework for creating new materials or new applications.